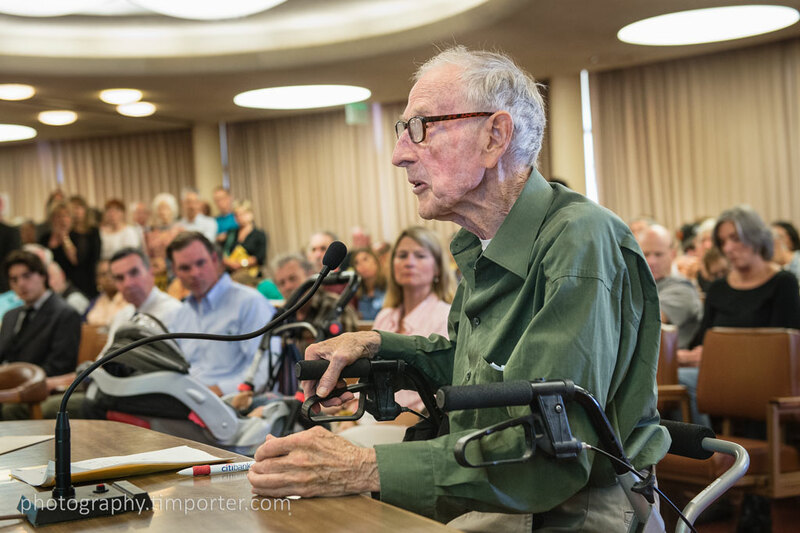 An aging veteran whose lost his home asks the Marin County Board of Supervisors to approve a plan authorizing more affordable housing in the affluent county. I dropped by the Marin County Board of Supervisors yesterday to photograph the newest board member, Katie Rice, for Marin Magazine. After I made the pictures I needed of her, I hung around to take in some of a contentious hearing on a countywide affordable housing plan. There’s no need to go into details about the plan here (much ink and many pixels have been devoted to it), but the debate struck me as a common one — a liberal plea for housing for residents and workers who aren’t hedge fund managers or lawyers vs. a NIMBY-esque argument that low-cost, high-density housing would mean more traffic, not enough tax revenue from the news residents to support local services and environmental dangers. 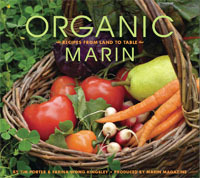 The crowd — on both sides — didn’t fit the Marin stereotypes. There were no yoga pants, few facelifts and more than several walkers. It was not the haves vs. the have-nots. It was the have-less vs. the have-no-so-much. Those who feared the new housing lived in Marin’s more middle-class neighborhoods — Marinwood, Tam Valley and Strawberry (well, not so middle-class for the latter). Those who argued for it lived in those locales as well, but also in Marin City and Hamilton. For me, it was a chance to put faces on an abstract argument, which is always a reminder that all these policy debates in the end effect the lives of real people. The meeting opened on a high note — several of them actually — with an a capella song about “there’s a lot of love in Marin” by local sax player and singer Richard Howell. That was the last sign of love for the afternoon. There was no vote. That’s scheduled for next week. (More photos here). This entry was posted in On the Job and tagged affordable housing, Board of Supervisors, housing element, Marin, NIMBY.